In this men's Trinity Claddagh ring, the Claddagh is a representation of the everlasting bonds of friendship, loyalty, and love. The hands of friendship enclose the heart in a gesture of giving and are protective and strong, like a trustworthy friendship. 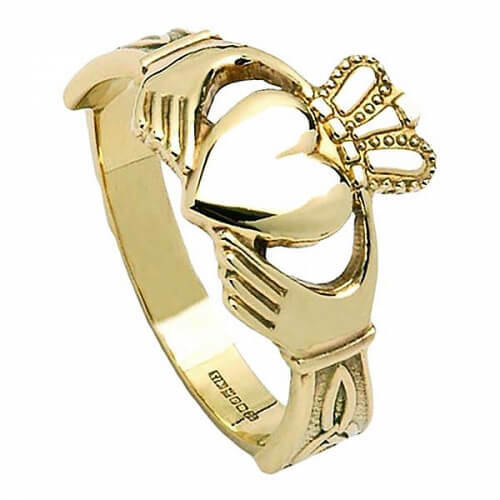 The crown symbolizes loyalty—love's reward and the greatest achievement of the human spirit. 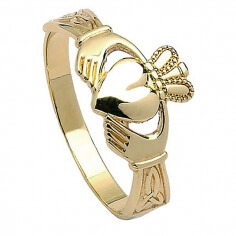 To give the Claddagh is to forever unify these bonds. 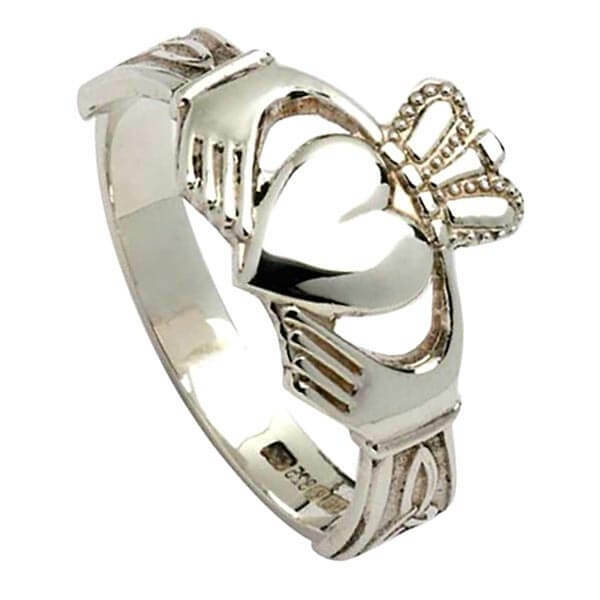 Cradle him in the loving hands of our men's Claddagh ring, made all the more meaningful with sparkling etched Trinity knots on the cuffs. Available in 10k or 14k yellow gold, and 14k white gold.